The new building is now almost ready - and we look forward to showing lots of people around during June. The new rooms, the splendid new parish centre with its bar and kitchen, the office and the library will all make a tremendous difference to our parish and community. The building will be officially opened and blessed by His Grace the Archbishop on Sunday 4th August. His Grace will celebrate the 11am High Mass, in the presence of Metropolitan Kallistos Ware of Diokleia, and after Mass will bless the building. 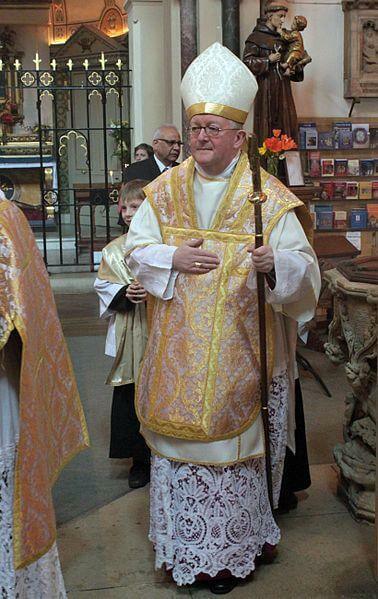 Archbishop Longley is in charge of Ecumenism on the Bishops' Conference of England and Wales. All are invited to come to the blessing.